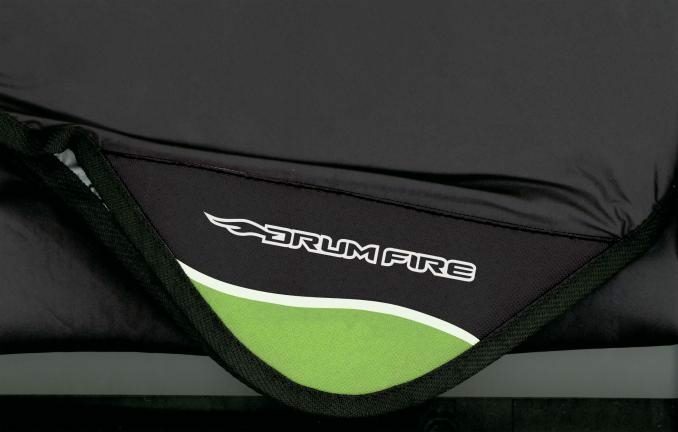 Keep your drum set free of harmful dust and debris with this dust cover. 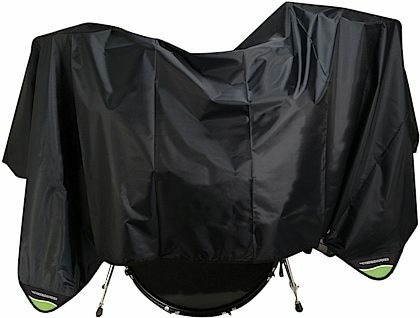 This 80 x 108 inch waterproof nylon cover comes complete with sewn in weighted corners to keep your dust cover in place. Dimensions: 80 x 108 in. Feature: This cover is terrific to prevent having to clean off the drums each week. Ease of Use: Size is more than ample to cover the entire five piece set. Quality: Thick material with weights sufficient to make it stay in place. Value: For the price, a terrific buy. Overall: Exactly what I needed for my drum set. It protects the set's finish from dust. And it keeps people from handling my drums and cymbals. 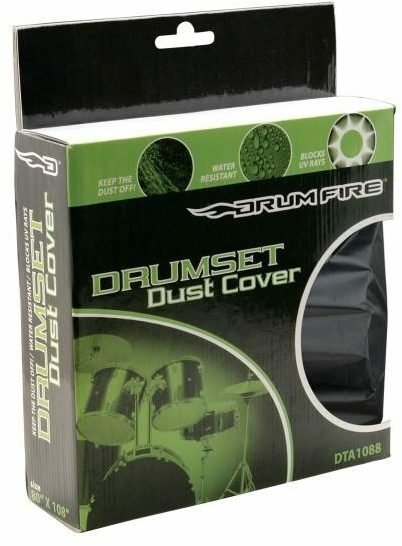 "On-Stage DTA-1088 Drum Set Dust Cover"
Overall: I have a Roland electronic drum set that I keep at home that was forever collecting dust - a drum sets worst enemy. I found this cover by accident in the zZounds web site and ordered it without hesitation. The dimensions provide the protection that I needed and the fabric is light in weight thus easy to place over the cymbals and drums. The dimensions work well for my set up however something larger would be needed tocover a double base drum arrangement. The corners are slightly weighted however I am not convinced the cover would stand up to any wind on an outdoor stage.